Called Plush, this range really must be seen and felt to be believed. They are in stock now at Parfitts Carpets and Interiors in Pembrokeshire. Lush and colourful – silk rugs are here! New Plush luxury silk rugs are selling fast at Parfitts Carpets and Interiors in Pembrokeshire. And it is no wonder they are so popular, they really are fabulous. 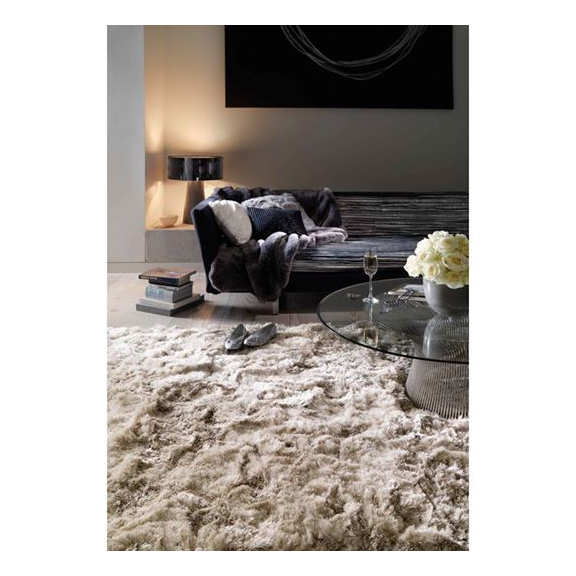 This sensational rug range was recently featured in OK! Magazine when Peter Andre and his bride to be Emily introduced their baby Amelia to the world. Plush has a super deep and soft pile and is unrivalled for comfort. The staff at Parfitts Interiors say they have never seen anything that comes close to the thickness and feel of these rugs. They really must be seen to be believed. Hand-woven in India, Plush rugs are available in 12 colours and a range of sizes, including circular. Just imagine how a couple of these could give your interior a real lift. Parfitts is a family run business selling beautiful furnishings, quality homeware products, amazing flooring solutions and much more. Visit the showroom to see the latest Plush range and while you are there check out the wide collection of other soft furnishings, decorative features and furniture. It is full of high quality, inspirational products at prices you can afford.